John Dudley arrived in St. Anthony in 1852—not to make his fortune, but to increase it. The burgeoning lumber industry provided the successful 41-year-old the perfect foothold, and he stayed in the industry for 65 years. But Dudley also knew how to diversify. 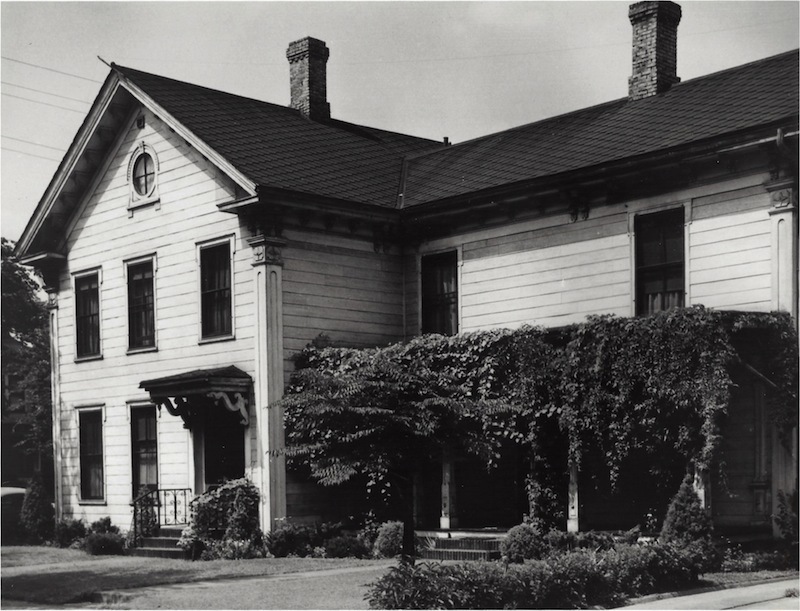 He operated a grocery store, a farm and a flour mill, was a stockholder in a bank and accumulated real estate, including this 5th Street SE home, which he built in 1856 and where he lived for the rest of his life. 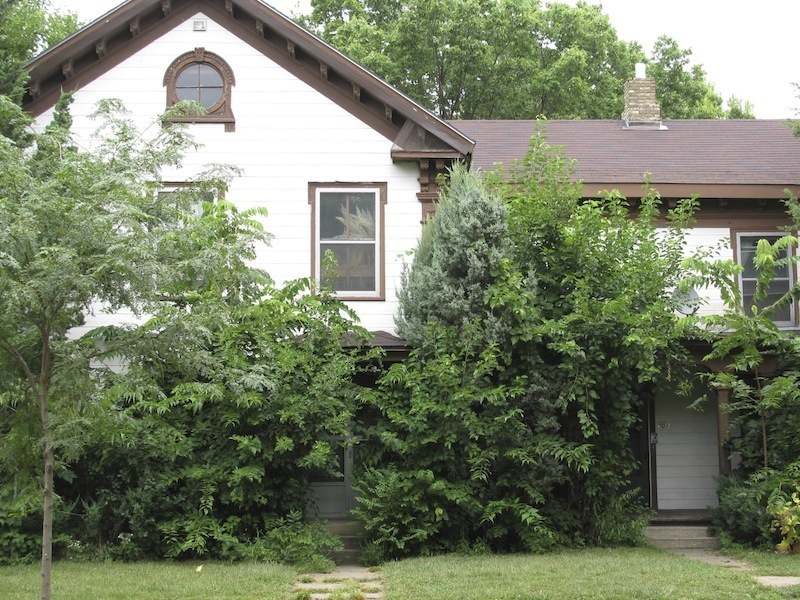 The L-shaped house is a combination of Greek and Italianate Revival. The Greek elements are evident in the pilasters at the corners, the gabled roof with wide entablatures and the triangular pediment, while the Italianate elements can be seen in the elaborate eaves, brackets, headers over the windows, chamfered (or beveled) Tuscan columns and low-pitched hipped roof. The residence also sports some distinctive features, including inventive four-pointed forms on the “capitals” atop the pilasters and the front gable’s round window and hood molding that ends in what appear to be triglyphs. 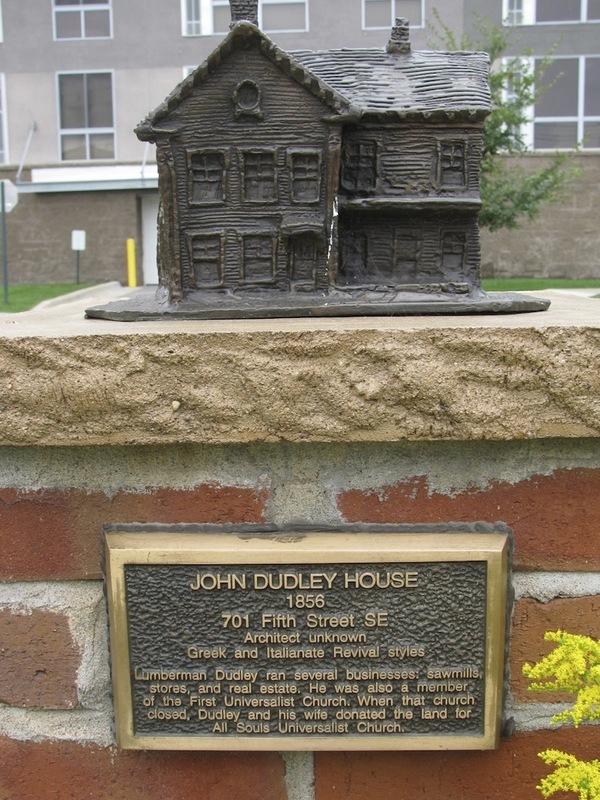 Marcy-Holmes Neighborhood Association, “John Dudley House (1856),” Minneapolis Historical, accessed April 22, 2019, http://minneapolishistorical.org/items/show/95.